Muhammad Ali, maybe the most famous sports figure of all time passed away this week. He was 74 years old. Muhammad was brash. He was controversial but most of all he was the greatest boxer I ever saw. In his prime he may have been the best professional athlete of any sport ever. 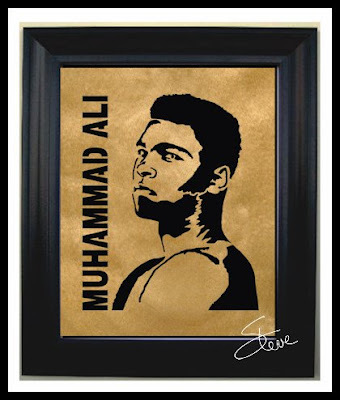 Pele, Gretzky, Jordan and maybe a couple more might be close but I think Ali deserves the title. This portrait pattern of Ali is 8" X 10".